Most people transform into their favorite 1980s or 1990s superheroes, robots, and even movie monsters, where they can travel to different planets and battle with guns, race vehicles, or simply lay out on the beach. The possibilities are endless. The creator of this virtual reality game, which is called the Oasis has died and has left a series of virtual keys inside his game in hopes that one person will solve the game, find the hidden Easter Egg, and inherit the entire Oasis along with its trillions of dollars. Enter the young guy named Wade Watts (Tye Sheridan), who is a great gamer, but figures out that a big company called IOI, led by a sinister man wants to win the game and make the world and Oasis a much worse place. With the help of Wade’s friends, they rebel and launch an attack to win the game. With so many pop-culture references throughout, it was only fitting that someone like Spielberg would take the reigns here and he does a great job showcasing the thousands of different characters from many movies in each scene, which include his own films. The visual feast here is fully CGI, but it all looks fairly good and you wish that you can pause the big screen and count how many characters you recognize from your childhood. It’s a lot of fun for sure with some big blockbuster action sequences that are exciting and thoroughly thrilling. I mean, who doesn’t want to see Spielberg’s T-REX from ‘Jurassic Park‘ and King Kong, along with the Iron Giant and Chucky the killer doll in the same scene with the Delorean Time Machine from ‘Back to the Future‘. 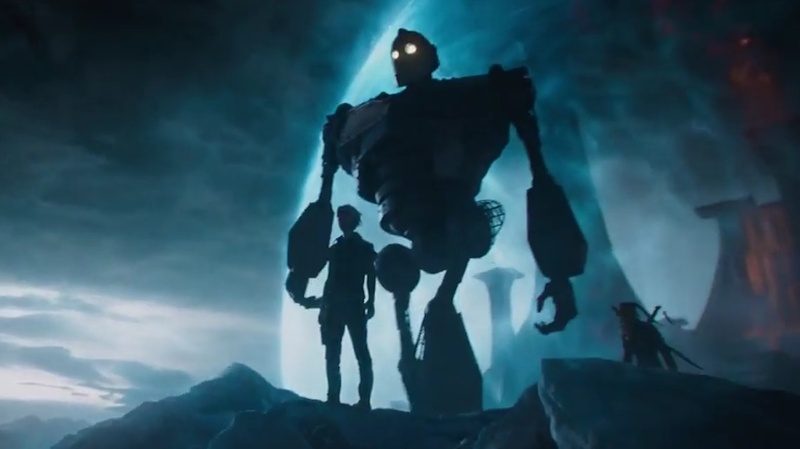 That’s what you get with ‘Ready Player One‘, and it’s a ton of fun. The other side of the coin here is that the characters, screenplay, and dialogue are super underdeveloped. There is not one character or piece of dialogue that you actually care about in the whole film, which in the span of the 140 minute run time is quite annoying. By the end of the film, you should feel at least something for these characters and be happy for them, but that’s not the case. It’s pure surface material and pop-culture references. I would say that’s a terrible thing, but Spielberg films each scene with perfection that you never really care either way about the story or characters. Upon future viewings, I might change my mind, but as for the first time seeing it on the big screen, it was a great deal of fun. You can especially tell that Spielberg had a great time with at least 10 minutes of the movie where he enters the world of Stanley Kubrick, which just had me smiling and laughing the entire time. For fans of the book, you’ll notice quite a few big differences, but again, this is an adaptation and it works better on screen this way. 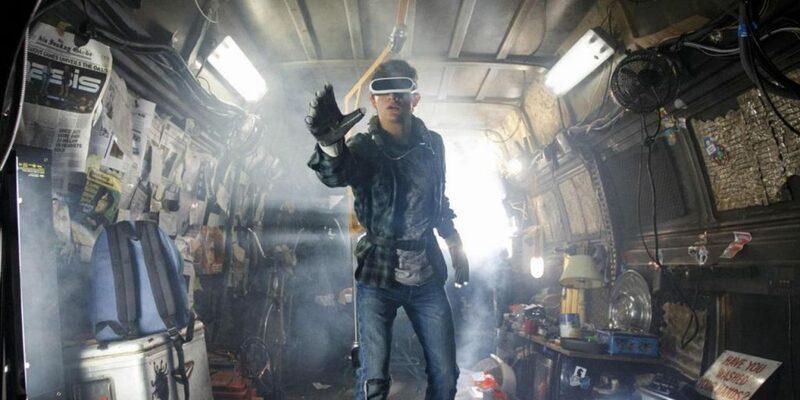 ‘Ready Player One‘ is a lot of fun on the big screen, and you’ll love seeing all the pop-culture characters pop out in each scene. Despite the lack of any character depth, development or good dialogue, this one comes Recommended still. This entry was posted on Wednesday, March 28th, 2018 at 12:19 pm	and is filed under Film, News. You can follow any responses to this entry through the RSS 2.0 feed. You can skip to the end and leave a response. Pinging is currently not allowed. It was a ton of fun, and yeah, the Kubrick sequence was jaw-dropping. Characters were underdeveloped but I didn’t not care about them. They were likable even though their motivations were really weak. Will definitely see this again, and soon. Yeah, that Kubrick scene was next level fun. And the race for sure. Only reason I want to see this again is to pause the 4K UHD in certain spots to see how many things I recognize in the backgrounds. Great review! Looking forward to seeing the movie and lamenting in my inevitable complaints about how it didn’t meet my expectations.